Powell woman targets ovarian cancer with "extreme dedication"
If you answered “no,” then you haven’t met Anamarie Rayburn. Rayburn, 60, of Powell has made it “a labor of love” to educate and empower women facing the daunting battle with ovarian cancer. 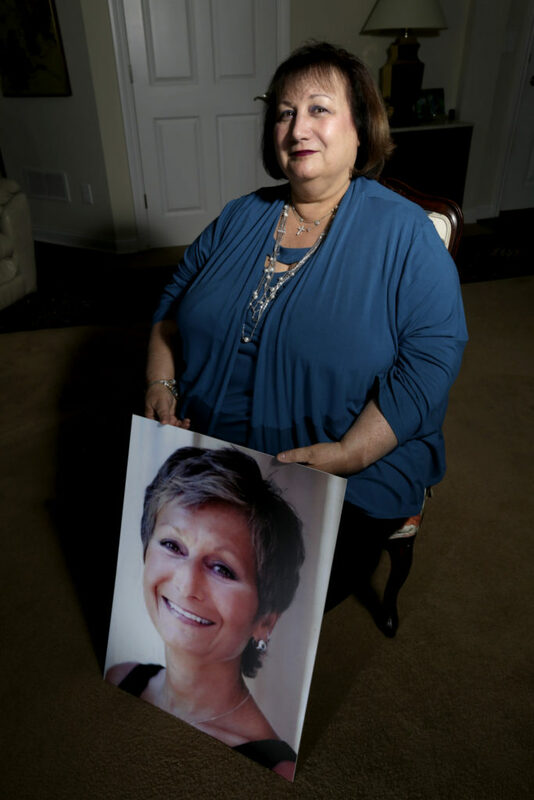 She is president of the Patricia A. DiNunzio Ovarian Cancer Fund, named for her sister, who died in 2014 after a five-year struggle with ovarian cancer. Pat DiNunzio started the fund in 2010, a few years before her death at 52. For her 50th birthday, Rayburn and supporters organized a fashion show as a fundraiser for her “fashionista” sister. Now in its eighth year, Runway to Awearness is held each September, coinciding with Ovarian Cancer Awareness Month. It has raised more than $220,000 for women with gynecological cancers, and continues to grow. “We knew that she was going to die from ovarian cancer, so she said, ‘I want to leave a legacy.’ That’s truly what Pat really wanted—she always wanted people to have an experience,” Rayburn said.